Your dentist is your trusted partner when it comes to keeping your teeth and gums as clean and healthy as they should be. Even if you observe proper dental and oral care habits like brushing and flossing daily, it is still important to visit the dental clinic regularly. Dental care experts emphasize that you should visit your dentist every six months, and if you have dental and oral health issues that have to be deal with, you should visit more often. Having a comprehensive dental consultation is not just a time for your dentist to take a close look at your teeth and gums. It is actually a good opportunity for you to learn more about upholding utmost dental and oral health. As such, here at Main Beach Dental, we see to it that you can make the most out of your dental consultation with your trusted dentist in Gold Coast. Even though your dental care partners specialise on your teeth and gums, it is also crucial that they know all about your general health. Countless scientific studies have already established that overall wellness is strongly connected to the condition of your teeth and gums. The health status of your entire body affects your dental and oral health, and vice-versa. That is why it is important to notify your dentist about medical conditions that you have developed since your last dental consultation. Today, there are a number of ways that could help you achieve whiter teeth and a more radiant smile. With the advent of more modern tools and techniques used in dentistry, Teeth Whitening and other cosmetic dental treatments are more effective and easily accessible. Still, dental care experts continue to stress that although these procedures can instantly give you the results that you want, the usual dental care habits like dental flossing are equally important in achieving and maintaining your ideal smile. Plaque and tartar buildup is one of the main reasons why your teeth get easily discoloured. Staining pigments and excess food particles can stick to these areas and as a consequence, affect the texture, shade, colour, and overall appearance of your teeth. Worse, plaque and tartar can make these stains extremely difficult to remove. Experience dental excellence at Main Beach Dental. Call us on (07) 5503 1177 or book your appointment online and claim your FREE dental consultation today! 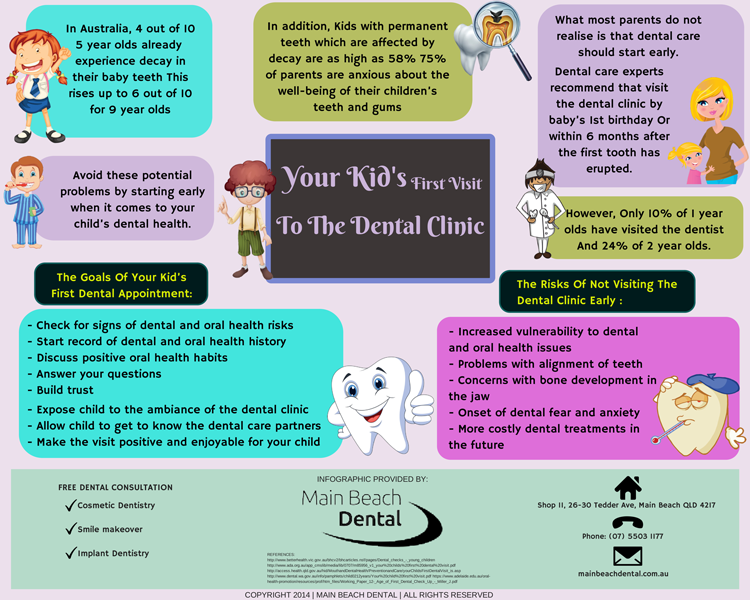 For more tips on how to take care of your children’s teeth and gums, consult your trusted Gold Coast dentist here at Main Beach Dental. 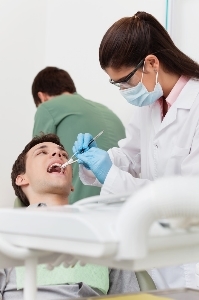 We provide you with dental treatments that help you achieve optimal oral wellness. Enjoy an absolutely pleasant dental experience with us here at Main Beach Dental. Call us today on (07) 5503 1177 or book an appointment online. These days, it seems that everyone always has someplace else to go to. It is exactly because travelling has become a rather frequent activity that there should be given enough emphasis in things that make for our otherwise everyday routine — among the most common of which of which include proper home oral health care. It is important to bear in mind that travelling is no excuse for blatant disregard to proper oral health care. Among the most practical way of maintaining proper dental hygiene while on the road, especially when you’re packing light, is to make sure that you carry are carrying a small pack of soft dental floss. Soft dental floss is a very practical way of keeping your teeth free from miniscule food particles that, when left unremoved for an extended period of time, is detrimental to the overall status of your oral health. Soft dental floss, to date, still remains among the most effective interdental cleaners. Flossing, of course, should be complementary to frequently brushing your teeth. When travelling, it is ideal to have a small travelling toothbrush that folds back into its container. In instances when you are travelling for an extended period of time, especially when you are travelling in another country, make it a priority to pay your dentist a visit before the expected schedule of you travel. We aim to help you and your entire family achieve and maintain optimal dental and oral wellness. 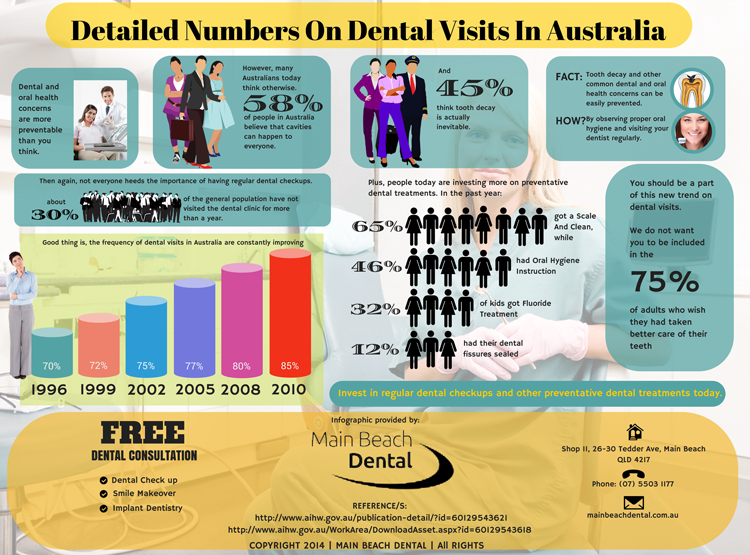 Call us today on (07) 5503 1177 or book and appointment online to claim your FREE dental consultation. These days, people are often left overwhelmed by the large number of toothpaste selections available at aisles of their local grocery stores and pharmacies. To this, most people opt to try different brands of toothpaste and stick to the ones that they like best. It is true to a certain extent that the best toothpaste is one that you like, enough to use everyday. You can try purchasing a few different types of toothpaste to cater to the taste and needs of each of the member of your family. 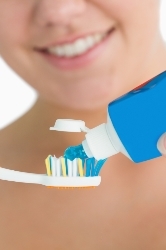 At present, toothpastes come in all shapes, sizes, varieties, and formulations. And while there are toothpastes to the meet the specific dental needs of virtually everybody, purchasing one that is recommended by the Australian Dental Association remains your best in preserving and improving the natural health and vitality of your teeth and gums. This said, there are particular types of specialty toothpastes that are formulated to accommodate rather specific dental needs. Flossing, along with brushing and rinsing with dentist recommended mouthwash, is an integral component of a truly comprehensive home dental healthcare regimen. Regularly flossing your teeth mainly removes bacteria buildup and loose food particles in the hard to reach corners of your mouth. Just as importantly, thanks to recent technological advancement that modern dentistry has seen over the recent years, a growing number of dental floss products are now proving to be effective tools to whiten your teeth. Dental floss cleans the teeth in pretty much the same fashion that vacuuming works, in the sense that a vacuum doesn’t actually whiten floor surfaces but instead makes surfaces appear whiter by removing dust and dirt. Medically referred to as aphthous ulcers, canker sores are characterized by shallow lesions that affect your oral tissues. Remarkably similar to cold sores, canker sores are generally uncomfortable. But unlike cold sores, canker sores are typically isolated only to the soft tissues of your mouth and to the base of your gums. Most episodes of canker sores do note require medical treatment, as it goes away on its own, within a 10-15 day period. Professional dental help is required, however, when an unusually prominent canker sore develops, or in cases when canker sores fail to heal even after 2-3 weeks time. Canker sores usually appear as yellowish oval-shaped patches within mildly inflamed red borders. These patches usually appear on the inside surfaces of your mouth, on your tongue, cheeks, gums, and even on your soft palate. People who are afflicted with canker sores typically feel a tingling or burning sensation, most commonly on their inner cheeks, the inside of the lips, and the surfaces of the tongue. Each patch of canker sore usually takes to 2-3 days to form and fully develop. These patches are most painful in their first 3 to 10 days.